Christian Micheal moves to Delhi Court in chopper case. HomePOLITICSChristian Micheal moves to Delhi Court in chopper case. 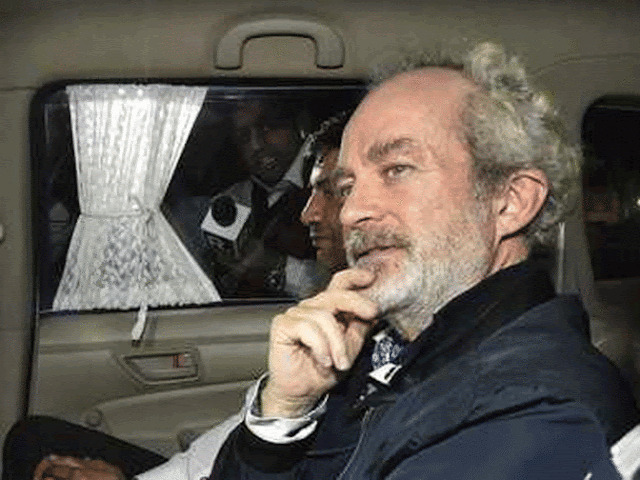 Christian Michel, who was arrested in the Agusta Westland in VVIP chopper case, moved to Delhi court Friday seeking bail in cases filed by the CBI and the ED, saying the chargesheet against him was not filed within the time frame of 60 days. Special Judge Arvind Kumar sought the agencies' reply by Tuesday, when the court will hear the matter. The bail application said that the probe is complete. "Since, the chargesheet was not filed against him within the stipulated 60-day period under section 167(2) of the Code of Criminal Procedure (CrPC). Probe is complete. I'm in custody since December 22, 2018," Michel said in the petition. On January 5, Michel was sent to judicial custody for the case. He is also lodged in judicial custody, in the CBI case related to the scam. Michel is among the three alleged middlemen, being probed in the case by the ED, and the Central Bureau of Investigation (CBI). The others are Guido Haschke and Carlo Gerosa.